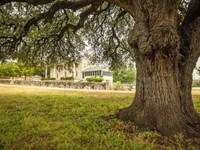 Property Overview The Circle B Ranch is a well maintained, improved and productive cattle ranch approximately -70 miles east of Dallas. The improved grasses, loamy soils, existing pasture configuration, lakes, fencing, cross fencing and facilities are ideally formatted for a true cattleman. 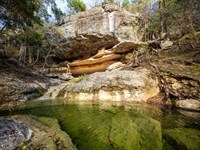 Excellent hunting, fishing and other recreational opportunities are available, which gives the ranch a multipurpose use. The ranch improvements and their private settings provide comfort and relaxation for a weekend family retreat or full-time use, and are well suited for entertaining guests in the great outdoors. DIRECTIONS From Dallas & Fort Worth Take Hwy 80 east to Wills Point. In downtown Wills Point turn north on 4th Street proceed -.46 miles and turn right east on Lake Drive FM 47. Follow FM 47 to Flats, TX located immediately east of the Lake Tawakoni and turn right east on FM 2324. Proceed on FM 2324 approximately 2.0 miles and turn right south on RS County Road 1325 to the entry of the ranch. The ranch is located on both side of CR 1325. The headquarters is located -.83 miles down the extremely quiet blacktop County Road. The nearest town is Emory, TX. Located -7.5 miles from the ranch, this charming East Texas town is the county seat of Rains County. Emory offers modern stores for shopping, great restaurants, and well stocked hardware and feed stores. TERRAIN Ranging in elevations from - 463' at the northeast corner to - 386' at the southwest property corner, a total of - 77' of overall elevation change occurs across the ranch. The rolling landscape is marked by scenic, contoured pastures that transition into valleys and hardwood lined draws along seasonal drainages and flowing streams. Ponds, stock tanks and lakes have been constructed along many of the natural draws providing ample water for livestock and wildlife. The ranch's gentle slope is ideal for grazing livestock and allowing runoff from the 40+ inches of annual rainfall to drain quickly. TREE Cover & Wildlife Habitat Approximately 35 is heavily wooded with scenic, developed blocks of mature hardwoods and spatially appealing mature hardwoods that are strategically scattered throughout the open prairies. The remaining 65 is primarily open, improved and highly managed coastal bermudagrass and bahia grass pasture. The blocks of hardwood timber create a natural wildlife corridor throughout the ranch. WILDLIFE & Hunting Circle B Ranch is located just north of the Sabine River and between two major Texas reservoirs, Lake Tawakoni and world-renowned Lake Fork. The area in known for producing exceptional low fence trophy deer along with being a flight corridor for waterfowl during the Fall migration. Most of the lakes and ponds have been stocked with largemouth bass, catfish, and other native fish. There are ample fishing options with over 63+ acres of water being located on the ranch. 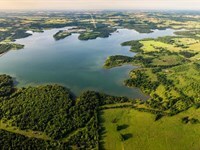 In addition to the ranch's private fisheries, Lake Fork is located minutes away from the front gate. 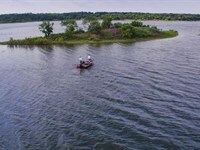 Lake Fork is known for producing state record largemouth bass. 16 of the 25 largest bass caught in Texas including each of the top 6. were caught in Lake Fork. LAKES and Water Features Reeder Creek starts just north of the ranch and traverses the western portion of the ranch behind the headquarters. 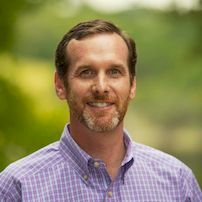 South of the headquarters, Reeder Creek converges with Shuffle Creek and crosses the SW portion of the ranch where it then connects with Woodbury Creek, the largest on the ranch. 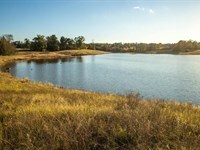 There are nearly 65 total acres of surface water located throughout the ranch in the numerous private lakes, ponds and stock tanks. 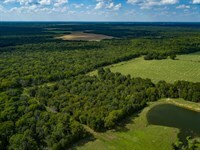 The largest lake is located in the southwestern portion of the ranch and is 17.5+/- acres. 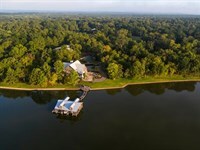 Additionally, there are two private lakes over 6 acres and 10 more over 1 acre in size. Cattle and wildlife collectively benefit from another 18 stock ponds under 1 acre which are strategically located throughout the ranch. There's a natural relief draw along a wet weather, unnamed creek that runs north to south on the east side of the ranch where and additional lake site may exist. Several of the other tanks could be either combined into one larger lake or expanded, if desired. FENCES, Pasture Management, & Cattle The owners currently run -300 head of Red and Black Angus cattle, plus calves. There are 19 cross-fenced pastures, 2 lanes leading to 2 trap pastures and 2 sets of modern pipe working pens. Two 2 of the ranch's pastures are heavily wooded and the other 17 pastures are predominately improved grasses which are fenced for easily managed rotational grazing. All pastures are fertilized and sprayed annually for weed control. The perimeter and internal cross fencing is in excellent condition. The 6 strand barbed wire features 4 pipe posts every 50'. Numerous cattle guards and gates have also been strategically placed to aid in ranch travel and pasture rotation. Notably, 30,000+ feet of pipe fencing along all road frontage gives the ranch impressive curb appeal. ROAD Frontage & Interior Roads Circle B Ranch offers multiple options for ranch access with just over 1.0 mile of frontage along FM Highway 2324 and 2.46+/- miles of frontage along CR Road 1325. The interior roads are well maintained and passable in most conditions with many of them being hard packed with gravel and culverts where needed. The entry road into the ranch headquarters is paved with gravel for year round access. STRUCTURAL Improvements The entry road into the ranch headquarters begins through piped entry gate with stone accentuated columns welcoming owners and guests. The electric gated entrance is set back from the county road making trailering or caravans a nonfactor. Upon entering the ranch, two meticulously manicured private lakes 6.5 and 2.7 acre on each side of the entry road welcome owners and guests as the approach the ranch's home. Located lakeside and shaded by mature hardwood canopy, the ranch home is approximately 4,575+/- SF with a 627+/- SF 2 car garage. The home features a large wraparound deck overlooking the larger of the two lakes. Within close walking proximity of the porch is a fishing pier of kids and grandkids to make one last cast before dinner. The house has an open floor plan with a great room with ceilings, a floor to ceiling rock lined wood burning fireplace. The home is well suited for a larger family gathering with 4 bedrooms and 4 baths, an open kitchen/breakfast area, den, utility room and an upstairs bonus room for the children to retreat and discuss the adventures of the day. Additionally, located in close proximity but not visible from the main home, is a modern 3,500+/- SF equipment barn concrete floor and fully equipped horse stables. The horse stables are 615+/- SF with 3 stalls, an office, tack room, feed room and a covered porch. Power & water have been run underground to each. One more 40 times 60 equipment barn and shed sits on the north end of the ranch just off FM 2324. This would be considered the working portion of the ranch where most maintenance of equipment may be addressed. EQUIPMENT & Cattle Equipment and cattle may be purchased separately from the real estate and is not part of the asking price. UTILITIES Electricity is provided by Farmers Electric Co-op. Water is provided by South Rains Sud. All gas appliances are propane. The house has a conventional septic system. PROPERTY Taxes The property is ag exempt and taxes for 2018 are estimated to be approximately $7,500. 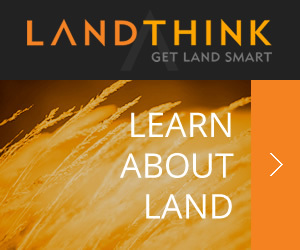 When calling broker, please say, "I found your listing Circle B Ranch on FARMFLIP."